Housing affordability continues to be a major concern in Australia and not just for would-be first home buyers. It also affects pre-retirees forced to work longer to repay bigger mortgages and older Australians unable to downsize from large family homes due to a lack of affordable options. 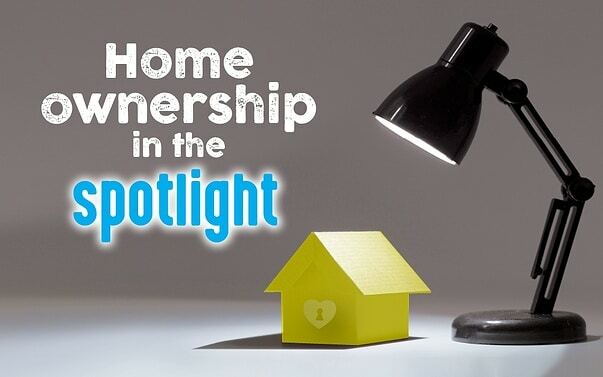 The latest 2016 Census revealed a gradual decline in home ownership over the past decade from 68 per cent of all Australian households in 2006 to 65 per cent in 2016. And those of us with mortgages are more likely to be stretched to the limit, with over 7 per cent of home buyers paying more than 30 per cent of their income on mortgage costs. It’s not only homeowners feeling the pinch. Rising house prices mean more of us are renting in the private market. Almost 25 per cent of households are renting privately, up from 21 per cent a decade ago; a further 4.2 per cent are in public housing. This puts upward pressure on private rents and increases demand for public housing. While the constant warnings from some quarters that Australia’s housing boom is about to bust has not yet come to fruition, the rapid price growth of recent years appears to be slowing. According to the CoreLogic Home Value Index, annual price growth eased from 12.9 per cent in March to 9.6 per cent by the end of June. 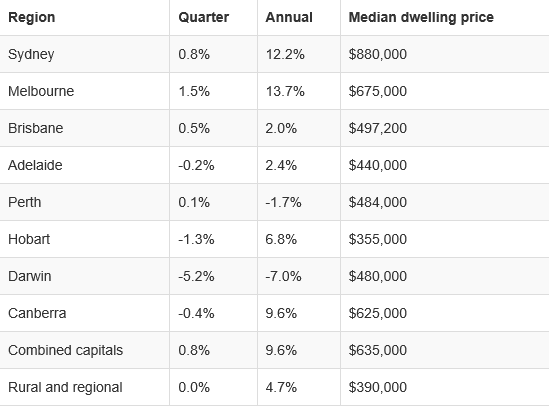 In Perth and Darwin prices actually fell, while Brisbane and Adelaide posted modest gains. Hobart remains our most affordable capital city with a median price of $355,000 despite annual capital growth of 6.8 per cent. The census also revealed that fewer of us own our homes outright. Mortgage-free home ownership is down from 32 per cent to 31 per cent over the same period. This could be due to more of us borrowing against the mortgage for renovations or investment, and higher home prices resulting in bigger mortgages that take longer to repay. If this trend continues it could have implications for our retirement income system, which assumes that most people will retire with a home fully paid for. In a little over two decades the incidence of mortgage debt among people aged 55-64 has more than tripled from 14 per cent to 44 per cent.ii As more of us delay buying our first home until later in life, this trend is likely to continue. To tackle housing issues at both ends of the age spectrum, the federal government announced some new measures in the May 2017 Budget. The first of these is the First Home Super Saver Scheme. If the proposal is passed, first homebuyers will be able to make voluntary contributions of up to $15,000 a year to their super fund which they can withdraw to use towards a deposit, up to a maximum of $30,000. While the scheme is welcome, $30,000 doesn’t go far when a 10 per cent deposit on the median-priced Aussie home is already $63,500, and much higher in Sydney and Melbourne. In a move designed to free up more housing stock for young families, the Budget proposed allowing people over 65 to downsize and put up to $300,000 of the proceeds into super without it counting towards existing contribution caps. Couples could contribute up to $600,000. This may make downsizing more attractive for some, but it may not be the best strategy for everyone because the family home is exempt from the age pension assets test while super is not. It also depends on the availability of affordable housing solutions for downsizers. State governments have also stepped up assistance for first home buyers. For example, Victoria offers a grant of $20,000 for first home buyers purchasing a new home and stamp duty savings for existing homes valued up to $600,000. In NSW, first home buyers will not have to pay duty on new and existing homes up to $650,000, and reduced duty on purchases up to $800,000. They can also access a grant of $10,000 for new homes up to $600,000, or $750,000 for owner builders. Queensland has extended its $20,000 grant for first home buyers purchasing a new home to December 2017, while Western Australia offers a grant of $10,000 for new home purchases and reduced rates of duty. It remains to be seen whether these measures will significantly improve housing affordability for first home buyers or encourage Baby Boomers to downsize to a smaller nest. It’s likely that more will need to be done to help Australians of all ages achieve home ownership. Whatever your stage in life, we can work with you to help achieve your version of the Great Australian Dream.